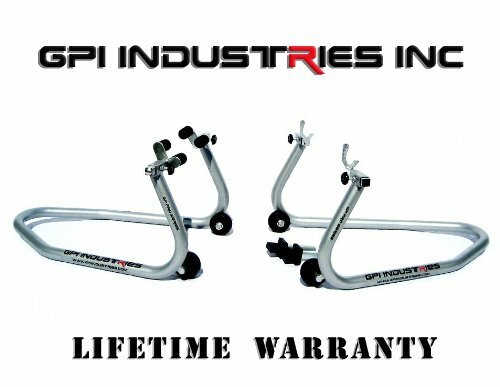 Front and Rear Set - Solid Steel Frame Construction. Works with almost every sportbike on the market. Quickly becoming one of the most popular stands on the market today. If you have any questions about this product by GPI Industries, contact us by completing and submitting the form below. If you are looking for a specif part number, please include it with your message.